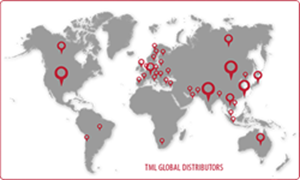 Our organization was formed in 1966 as the first company to offer the products of Japanese manufacturer Tokyo Sokki Kenkyujo Co. , Ltd. in the United States. We became a Texas corporation in 1974 and gained exclusive representation for Tokyo Sokki that same year. In 2003 we became the representative for Mexico. Our offices are located at 303 Anderson, College Station, Texas. 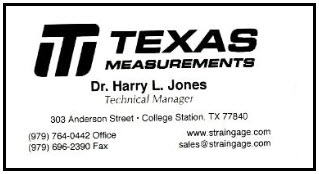 Texas Measurements offers quality strain gages, transducers, and instruments at very competitive prices. Our extensive product line, friendly service, and knowledgable technical staff make the sometimes cumbersome hassle of obtaining technical and purchasing information a much more pleasant experience.